I love this children’s book about a young orphan girl who returns to her English roots to save a cripple boy and his emotionally scarred father. Mary Lennox lives with her rich parents in India. No one loves her. When her parents die, she goes to live with her uncle in England. Old Misselthwaite Manor on the Yorkshire moors seems hardly a place for a child, but soon Mary makes friends with some of the staff and discovers a mysterious garden locked up ten years ago that becomes her special place. One day, she discovers her cousin Colin, a boy who cannot walk or stand, a boy everyone thinks is going to die. Like Mary, Colin is ignored by his father, grief-stricken by his wife’s death, and certain he will lose his son as well. With Mary’s help, Colin enters the garden and learns to walk. The Garden, in the end, not only heals Colin but also his relationship with his father, his father’s emotional wounds, and Mary’s feelings of worthlessness. I love this book! My Grandmother used to read it to me as a child! I know. I love the book too, and I see it every time they make a movie even though it’s for children. 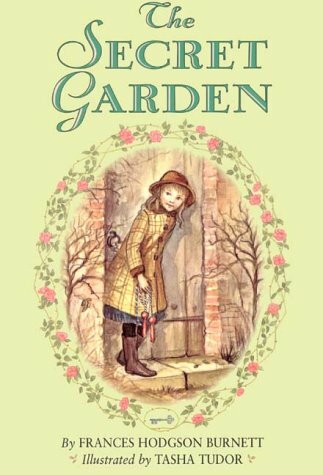 I’ve always liked the Secret Garden. I read the book once and watched the movies many times. I loved the idea of a mysterious garden for me and me alone. I agree. There’s something magical about the concept, something restorative and healing. Now to find my secret garden which I’m sure exists, I just haven’t found it yet . . .